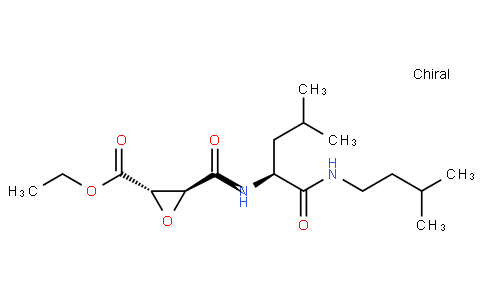 Aloxistatin (E-64d), is a selective cysteine protease inhibitor or calpain and autophagy inhibitor. E-64d prevents in vitro cerulein- induced trypsinogen activation. E-64d can enter the intact cell and inhibit calpain. E-64d has been shown safe for the treatment of Alzheimer's disease in human. E-64d is potentially useful in the treatment of developmental seizure-induced brain damage both by regulating abnormal zinc signal transduction and through the modulation of altered lipid metabolism via ApoE/clusterin pathway in hippocampus.